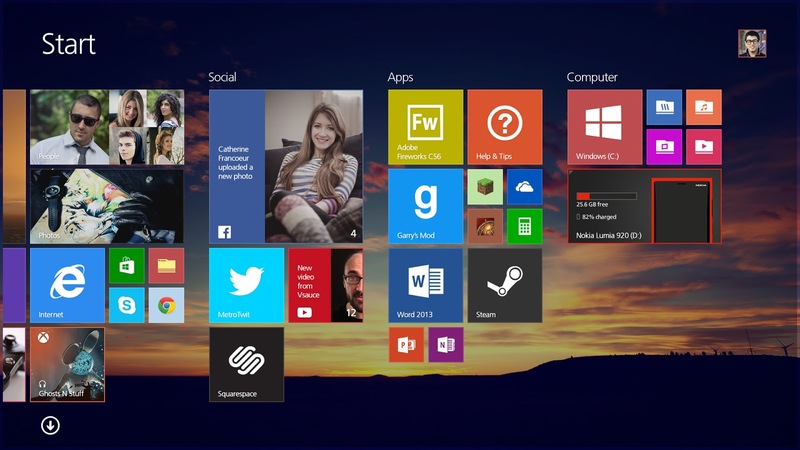 Tech O Blog : Windows 8 re-invented : Fixing Windows 8 ! There is more to say but I still love Windows 8 and use it as my only OS in the PC. This is the same idea behind a Designer who has created a beautiful and yet a really useful Windows 8.2 prototype ! Start Screen with it's own file manager ! He has brought the start menu back but it's the kinda of start menu which satisfies both the touch and mouse users. 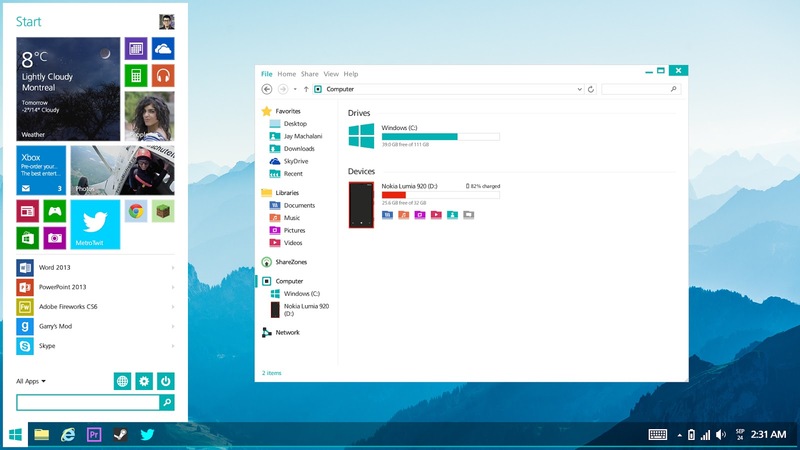 Nevertheless the metro UI has got a new file manager so that touch users don't need use the desktop to access their files.You can also the Metro apps in the desktop which is absolutely a killer feature which will boost the productivity of Windows 8 by a long shot. 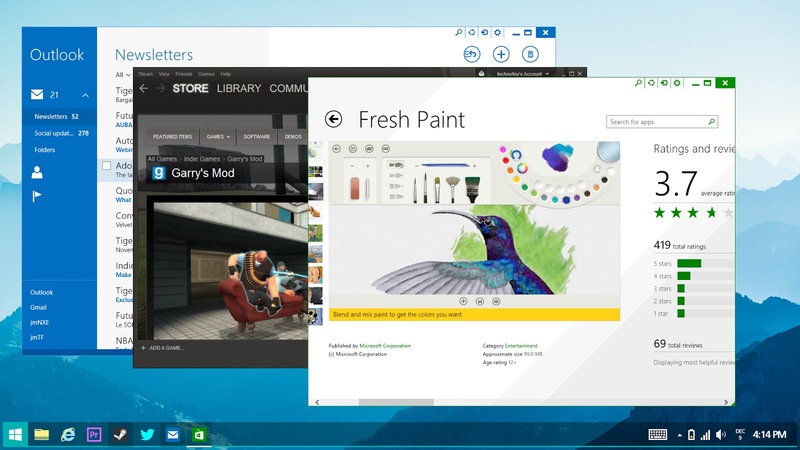 This design shows how Microsoft should design their next OS or even Windows 8.2 . Unfortunately Microsoft won't take much notice of this beautiful and useful design. Yes some changes are needed in this design but it's still a pretty solid one. There is more to read in designer's own website. Modern UI apps and Desktop apps running in the Desktop at the same time ! Windows really quietly cooperated with ubuntu? This is a nice concept. I will be happy if we would be able to use modern apps in the desktop mode. But Microsoft as always, will never consider such concepts.